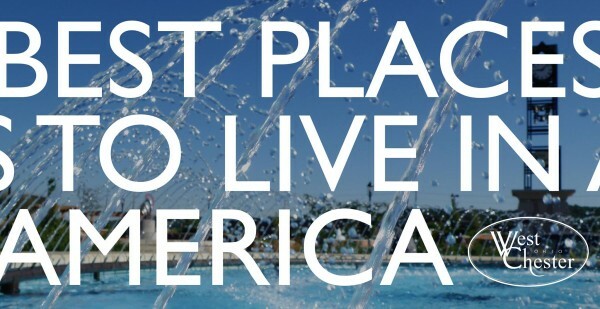 It's no secret – West Chester Township in Butler County, Ohio is one of the "Best Places to Live" in America! For a seventh time, the southwest Ohio community of 65,000 residents has been named to MONEY Magazine's list of the top 50 "Best Places to Live" in America. West Chester comes in at No. 38 on the 2018 list – a credit to the community’s private and corporate citizens who have invested in its success and sustainability. "With outstanding schools, modest costs, and commutes, this Cincinnati-area suburb has been growing steadily," writes reporter Sergei Klebnikov for MONEY Magazine, a publication of Time Inc. The 2018 MONEY Magazine list considers communities with populations of 50,000 or greater, eliminating those with more than double the national crime risk, less than 85 percent of its state’s median household income, or a lack of diversity. From the resulting pool of 583 places, MONEY collected 135,000 different data points to narrow the list. Categories of emphasis included economic health, cost of living, diversity, education, income, housing, crime, amenities and overall vibrancy. The magazine’s reporters then researched each place, interviewing residents and checking out neighborhoods for the intangibles that define great communities. "The township has numerous events throughout the year, including music and food festivals, community activities, and holiday parades," Klebnikov writes. West Chester was first named to the MONEY Magazine list in 2005 and has been included in the top 50 on the six most recent lists – 2010, 2012, 2014, and 2016 – recognizing communities with populations between 50,000 and 300,000. West Chester placed 56 on the 2017 list recognizing the top 100 places to live with populations of 10,000 to 100,000.